Sealweld launched the Mongoose Injection Pump at the end of October; since that time, a lot of interest has been generated and we are proud to say that we have sold over 20 units already. Two years ago I wrote a piece about how social media was starting to catch on in the patch. This year, I was vindicated. Most companies exhibiting this year were sporting Twitter and Facebook logos on their brochures and banners. It shows how these tech-savvy, generation ‘Y’ers are taking charge of corporate communications and integrating social media with public relations. 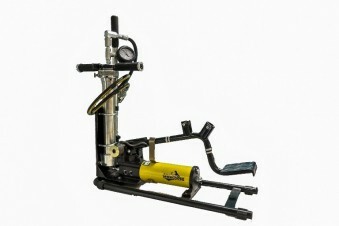 As it turns out, we at Sealweld are valve experts and who better to share this accolade than Valve World Americas? In an effort to become more interactive with its readership, VWA launched the inaugural edition of “Ask the Expert” where readers can submit valve related questions. With both lead trainers and technicians in house to hammer out the new edition of ValvePro, it was perfect timing to hold an impromptu “Ask the Expert” convention. So, I guess I spilled the beans… yes, it’s my name on the column but much of the credit goes to Joe Pirkl and Ernie Coates. Without these dynamos supporting this column, it might as well be called “Ask the Hobbiest”. Along with a crunch time revamping of course material, what rebrand would be complete without a new logo? Our design firm, Arthur/Hunter, has released their final concept for the new ValvePro logo and our management team is buzzing! Now, this is just a little teaser so be sure to visit us at booth #3021 during the Global Petroleum Show to see the new course content and sit in on a crash course delivered by lead trainer, Ernie Coates. If you’re lucky, you just might catch our guest trainer, Joe Pirkl, the general manager and lead trainer for Sealweld USA. It was another intensive week of crunching data, writing body copy and hot debate while sorting out the final level of the newest version of ValvePro. 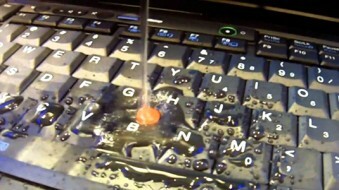 It also came at a high cost… one ASUS laptop hard drive valued at $1000 but the lost production time hurts the most. “A thousand dollar bottle cap,” is how programmer Bob Pearn described it. That’s right kids, that’s why food and drinks aren’t allowed in the computer lab! And that was just day 1!! 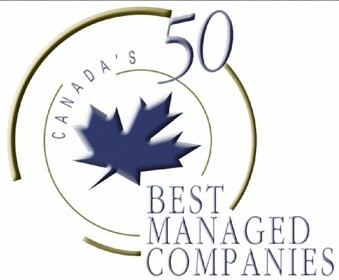 Sealweld Corporation is extremely proud to join the ranks of Canada’s most renowned and best managed companies. Our collaborative effort has inspired a culture of empowerment for success and the open recognition of it. Our colleagues are seen as friends and family, not simply peers. You know you have something truly special when you wake up in the morning excited to face challenges with a tenacious and dynamic team of industry professionals. It’s hard to describe the gratification of being in such a respected and respectful organization. It was a gruelling month for lead ValvePro trainer and senior valve technician, Ernie Coates, but Australia’s Gold Coast seems to have been hospitable enough for him. Ernie’s time with Heath Pipeline Services and Michael P. Lynch couldn’t have been planned any better. 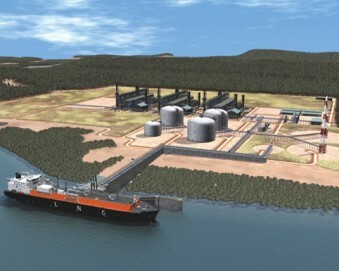 Pipeline projects are popping up throughout Queensland that will feed coal seam methane from thousands of well sites to the Gladstone LNG Plant nearing completion on Curtis Island just north of the famous rum producing city of Bundaberg. In an effort to give a little something back to our amazing community, our volunteers took to the Drop-In Centre area for a coat drive and bagged lunch program. Tiffany and Sam Woodland, Wendy Coates, Aman Dhaliwal and myself spent a few hours distributing homemade sandwiches, apples, granola bars and hot chocolates to those in need. I was shocked to see how many of these people were carrying backpacks with hard hats attached, brief cases and donning business attire. I got the sense that the majority of this part of our community gets perpetually caught in vicious circles of sporadic employment, high living costs, substance abuse and bad luck in general. We were met with great appreciation by everyone who stopped by and got to see smiles beaming as they walked away with a guaranteed meal and a warm coat. 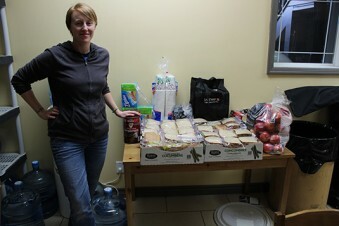 Huge thanks to Tiffany for organizing this program and bringing some love to the needy for Valentine’s Day. We’d like to let our clients, colleagues and partners know about an extremely exciting development in the world of valves. 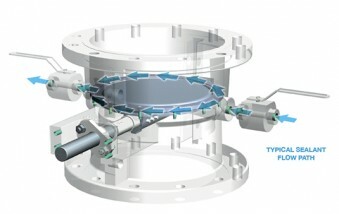 The world’s first butterfly valve with Sealweld sealant injection capability branded as the SPIRES system. Historically, these valves weren’t considered a good choice for critical applications due to the inability to seal the seats. That’s all changed now. This added feature opens up huge potential for this style of valve. Coupled with a streamlined body shape, easy installation and simple design principles, you can expect to see many of these valves in service in the coming years. 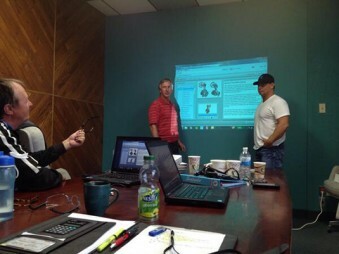 After several months of deliberation with technicians and trainers from both our Calgary and Houston offices, the latest version of ValvePro is well under way. A June release date seems ambitious for now (to say the least) but much of the content is now complied and ready for one thorough edit and proof read. To go along with the new version we will be releasing a new website, logo and marketing campaign. A huge thanks goes to our lead technician/trainers Ernie Coates and Joe Pirkl as well as project manager Bob Pearn. These guys have dedicated a lot of their personal time to ensuring this program is as detailed and comprehensive as possible and our 2014 students will benefit greatly from the augmented material.